Allscripts will acquire Practice Fusion for $100 million in cash. San Francisco-based Practice Fusion has raised over $150 million since launching in 2005. Its EHR and PM technology supports 30,000 ambulatory practices and 5 million patient visits per month. Cityblock Health raises $20.8 million in a Series A funding round led by Maverick Ventures, which it will use to help deploy its first clinical partnerships and hire additional staff. The New York City-based startup has developed a membership-based care management company focused on serving the primary and behavioral healthcare needs of urban neighborhoods that have historically had little to no access to healthcare services. Andy Slavitt, whose new investment company also contributed to the round, has joined the company’s Board of Directors. An AMA report on the economic impact of physicians shows that they support 12.6 million jobs and generate $2.3 trillion – 13 percent of the US economy. Kelly Robison (OptumCare) returns to Brown & Toland Physicians as CEO. Rich Berner (Allscripts) joins MDLive as CEO. Berner replaces Scott Decker, who took the helm in November 2016 after four years at HealthSparq. SRS Health promotes Khal Rai to president and CEO. 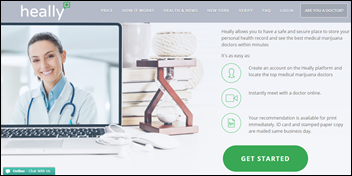 MediCann will implement Heally’s telemedicine software for medical marijuana consults in California. The companies will also partner on cannabis dosing research for a range of ailments. Florida’s Agency for Health Care Administration notifies 30,000 Medicaid beneficiaries of a November data breach that occurred when an employee fell prey to a phishing email scam. So at the time of their sale, Practice Fusion is claiming “30,000 ambulatory practices”…. Historically they have tremendously inflated their numbers, which is easy to do since the product is free and all it takes is an email address to become one of “their” practices. At the peak of their hyperbole, in 2015 they reported “more than 112,000 monthly active medical professionals”. I wonder what they really HAD at their peak, and where they are now…..
After talking with multiple providers one of the larger trends I noticed is that a lot of practices that were “using” PF were still essentially on paper. 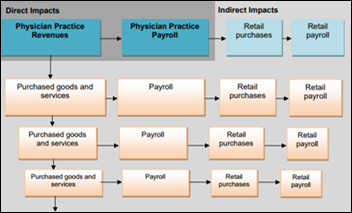 Getting PF was a way for early money in the first EHR incentive days, and is now used as a bare bones tool for things like erx. I have also encountered doctors that still are “active” in practice fusion, but essentially use it as a storage place for old charts they did not want to migrate into their new system. ACTUAL everyday users of the system I would assume would be much lower.